agreement to be a keynote speaker at the planned meeting in Ottawa next February, has overshadowed the last stage of the Tory leadership race. Joe Clark's imminent return to the Progressive Conservative leadership hardly seems likely to spark a Tory revival. His claim to have an alternative united alternative plan is simply baffling. But Manning's scheme is still viewed with intense suspicion by many of the Tories it is supposed to appeal to, and with good reason. something should be done about the split of votes between the Tories and Reform. Until the last election the favoured solutions were, for the Tories, that Reform should run out of steam and, for Reform, that the Tories should simply expire. When the election confirmed that neither was likely to happen, neither side had any new ideas. But when Jean Charest resigned as Tory leader on March 26, the very next day Manning held a press conference to launch his United Alternative scheme. Far from a sincere effort to overcome the problem he had himself created by founding his own party and splitting the right, this looked more like moving in for the kill on a now leaderless party. If Manning had been serious about overcoming the split of votes between Reform and the Tories, he would have talked to Tory officials, not the press, and would have waited for the Tories to choose a new leader and then entered into talks with him. Instead he continues to pressure Clark to come to his February meeting and to denigrate the party with which he is supposed to be seeking an alliance. Manning's leadership on the line. But this has always been Manning's line at the meetings where he has taken his shrewdly planned steps towards his ambition of running the country. The Western Assembly in Vancouver in May of 1987 was simply supposed to be an open discussion of Western political discontents. It decided that a new party should be formed. 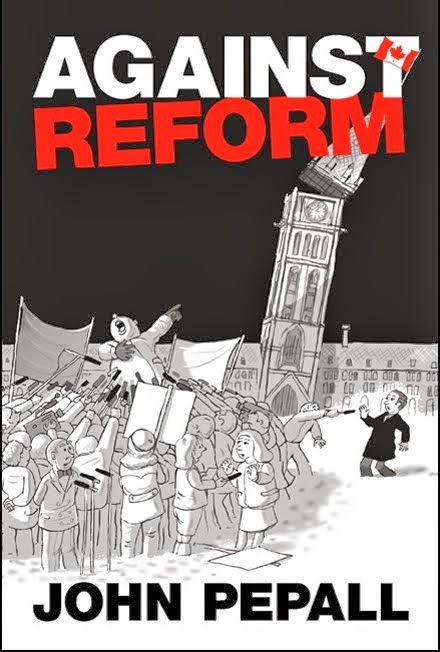 At Reform's founding meeting in Winnipeg in November 1987 Manning became leader and got the party structure and strategy he wanted. When Manning decided that the time had come to move the party beyond its Western roots and "let Ontario in" he again got what he wanted at the party's Assembly in Saskatoon in April 1991. At each of these meetings everything was supposed to be up for discussion and those attending to decide the outcome but Manning always knew what he wanted and always got it. What Manning wants out of next February's meeting is a Reform Party strengthened by an access ofex-Tory supporters with himself as leader and a minimum of cosmetic changes to accommodate them. Proponents of the United Alternative have been saying that the support for Clark and Hugh Segal in the first round of the Tory leadership voting shows that the party is overwhelmingly Red Tory and therefore incapable of uniting the right. Most of those who voted for Clark or Segal would reject the Red Tory label. More importantly, this argument assumes that the United Alternative scheme is intended to unite the right. On this theory the true conservatives in the Progressive Conservative party must give up on it and unite with the supposedly staunchly conservative Reform Party leaving the Progressive Conservatives to fade away as a faint echo of the Liberals. Most of the interest in the United Alternative outside the Reform Party comes from right wingers. They mistake Manning's goal. He did not call his scheme the United Alternative for nothing. His goal is not to unite the right but to clear the ground towards the centre so that he can occupy it on the way to winning a majority. For this purpose he needs to eliminate the Tories for two reasons. They occupy much of the centre ground that he wants to occupy, but they are also right wing enough that they could represent a threat to his rear if they remained around after he had made his move. In any event politics is not a simply one dimensional ideological game. 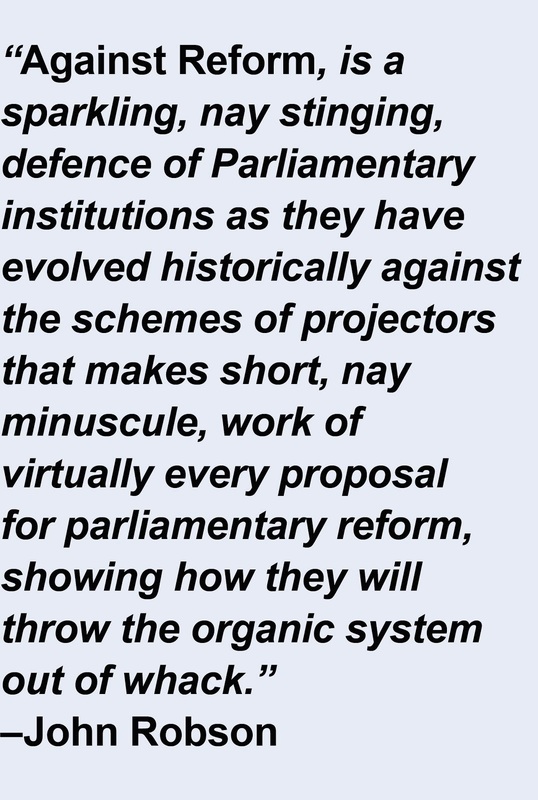 The quarrel between Reform and the Tories is not simply a question of how right you are. It is about populism and principles and how parliamentary democracy should work and regional roots and interests. If Manning sincerely and selflessly wanted to repair the damage that he has done in splitting the right, he would go about it entirely differently. He would seek to deal not with Tory weakness but with Tory strength, not try to draw away Tory supporters but to deal with the party and, above all, acknowledge that his leadership days are over. As he is proceeding he risks an outcome reminiscent of the founding of the United Church of Canada in 1925. The effort to unite the principle Protestant churches in Canada was only a qualified success as a substantial minority of Presbyterians opted to continue with their own church. If a United Party were to emerge from February's meeting under Manning's leadership many Tories would refuse to join. The United Party might be stronger than Reform and the Tories weakened. But with a United Party getting 30% of the popular vote and the continuing Tories only 10% the Liberals' lock on power would continue.